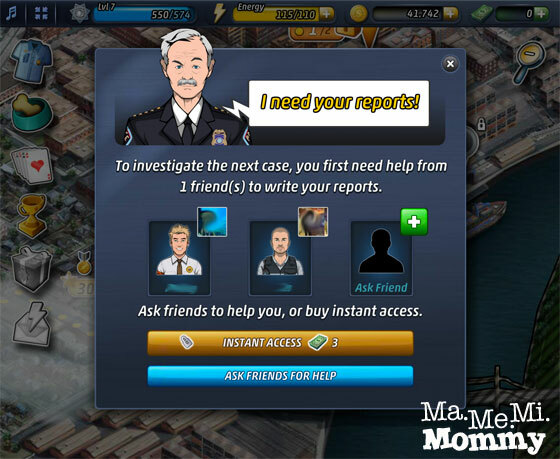 Have you Tried Criminal Case? 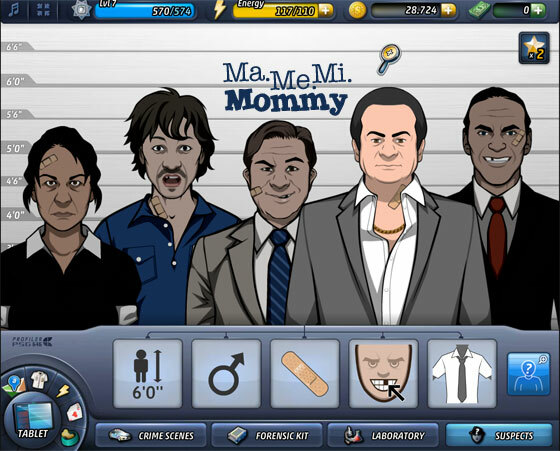 I have been seeing posts of the game Criminal Case on my Facebook feed lately. I finally decided to try it out when DH recommended it, adding that I would greatly enjoy the game. That sure piqued my interest! Since DH was playing it with his mobile phone, I decided to download it in my phone too. I was in for a disappointment though as it’s not available for Android. Oh well, to the computer it is. I found the app by searching for it via Facebook. It’s basically a detective type of hidden objects game wherein you play the role of a police officer and investigate a murder. You look for clues, send them to the lab, piece together all that you’ve got, and eventually arrest a suspect. There’s my cool looking avatar. 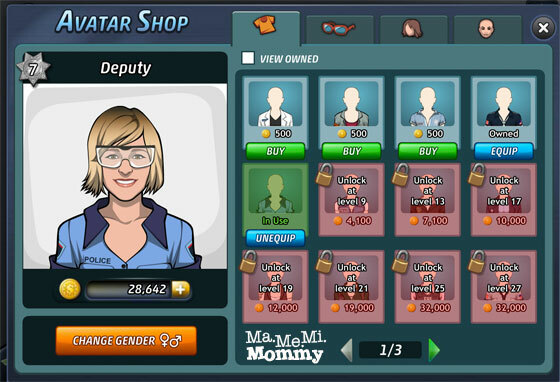 You can customize the face, hair type, accessories, and clothing. Some can be unlocked only at a higher level though. 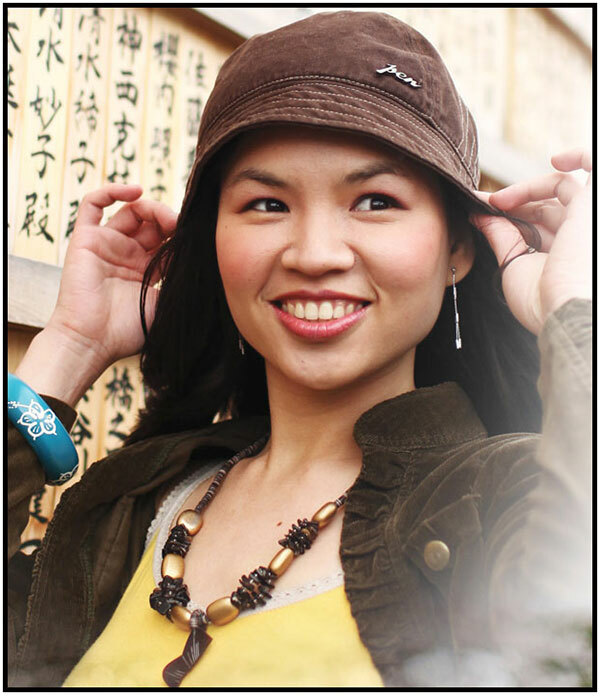 As your earn more coins during the game, the more you can upgrade and personalize your look. The level usually starts with Jones, your ever trusty partner alerting you of a murder somewhere. You would then go to the crime scene to look for clues. 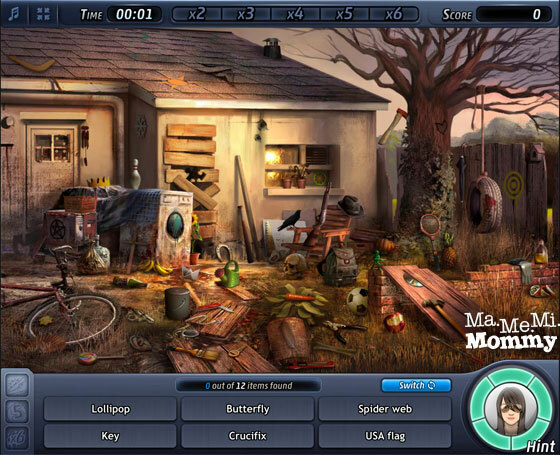 This is an example of a crime scene and this is where the hidden objects part of the game is. Using the list at the bottom of the screen, you’re supposed to look for those items in the scene. The faster you are, the higher the score you’ll get. You cannot just click and click randomly on the screen though, the game would ask you to pause and warn you to calm down if you do. 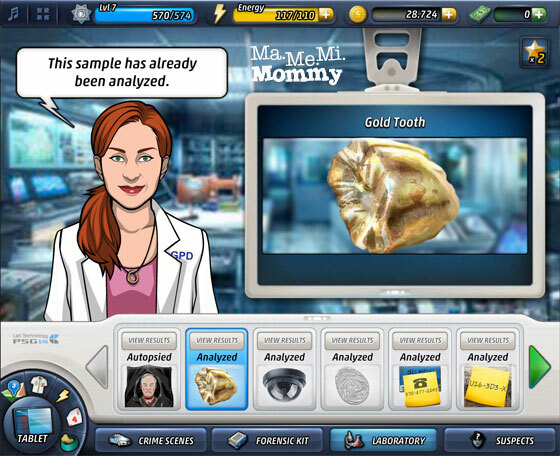 Sometimes, objects in the scene would lead you to find clues that you can send to the laboratory for analysis. Analysis would take from hours to days to finish. If you’re not the type to wait, you can rush it by by shelling out some real money. Additional crime scenes surface as you find more clues and talk to more suspects. The more times you inspect a scene, the more stars you’ll get. You will need these stars to talk to suspects and to analyze and look at clues further. As in the real world where you would need energy to do something, you will also need energy to investigate crime scenes. A normal crime scene would cost you 20 energy and it won’t be long before you’d be tired and depleted. Out come the snacks. 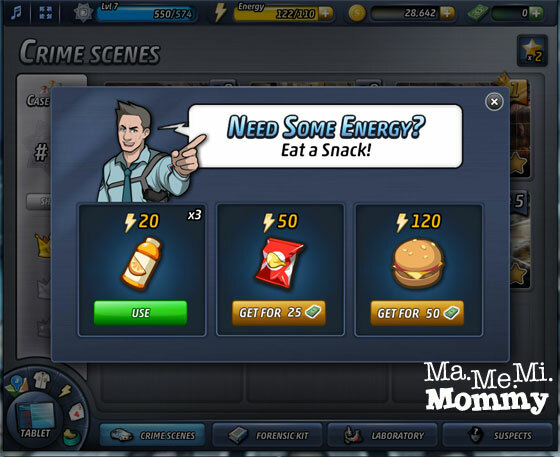 The snacks, orange juice, chips, burger, help you replenish your energy to continue investigating scenes. You sometimes get these snacks from friends or from the game’s Facebook page. If you’re the type to shell out money however, you can buy these too. 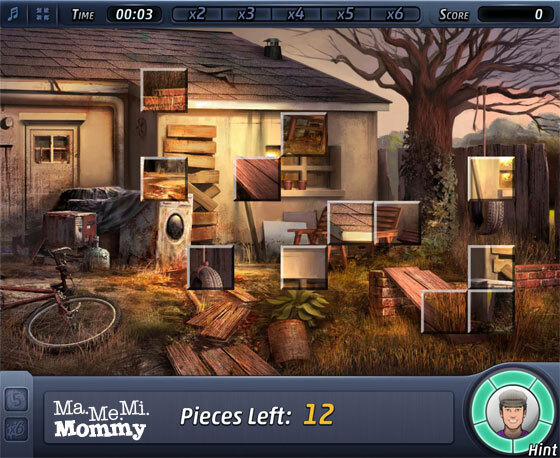 Aside from the hidden objects game, there are also puzzle games like this. I am a big fan of jigsaw puzzles so I really like this. When you have gathered all the clues. It’s now time to put together the pieces of the puzzle to nail the suspect. Which of them looks like the killer? Just like Candy Crush where you would sometimes need to ask your friends for help to unlock the next stage, this game also has that feature. In this case, it’s your boss, asking for reports. Since you are not much of a writer, you need to ask three friends to “write your reports”. Again, you can opt to buy if you don’t have any willing friends. As of writing, I am still missing one report. Huhuhuhu. Puzzles I miss doing real jigsaw puzzles. Playing some of the scenes in the game reminds me of the feeling I get when I play the real thing. Energy Some may get turned off by the constant depletion of energy but I like it because it keeps me from sitting in front of the computer all day long playing. It regulates my playing time. I play a little, stop, and then come back when I have time. By then, my energy would have been replenished. Gifts The game’s Facebook page usually posts freebies for you to claim. It’s incentive enough to remind you to play from time to time. Android Compatibility I think it’s so much easier to play on a mobile phone where you can just tap with your fingers instead of having to move the mouse around. More Thinking I would have loved it if it would let me play detective more. Once I’ve found an item, it automatically tells me that it looks like a clue and that I should file it. I’d like to do that for myself, decide whether something is worth looking at or not. A different game, perhaps? Thank you for explaining the game. I’ve been getting invites from my friends too but I haven’t accepted them because I know I can get addicted to games. Hahaha! As it is, I’m already in front of my computer a lot. I used to play a game from Disney, I think, about time travel and looking for clues. 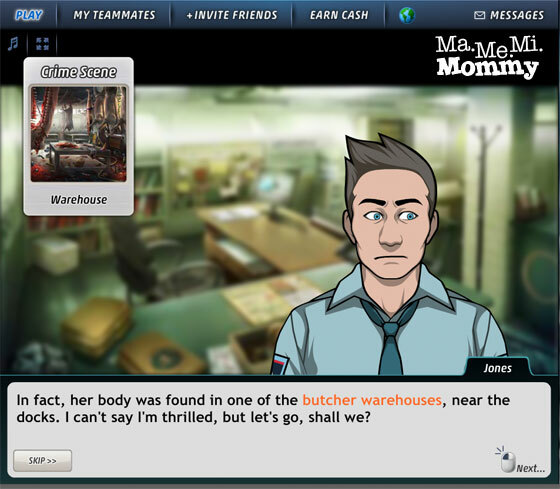 This game is kind of like Mystery Case Files, a bit creepy, but exciting and difficult. Wala ata akong natapos! Haha! 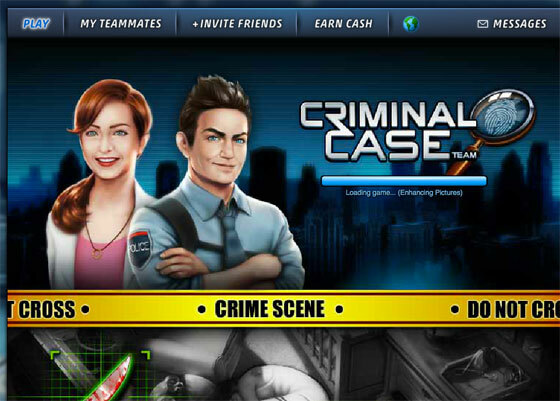 i’m getting criminal case invites too, but i already stopped playing games on facebook. i had farm town & farmville before.. and tried family farm recently pero di na keri ng powers ko. hehehe! 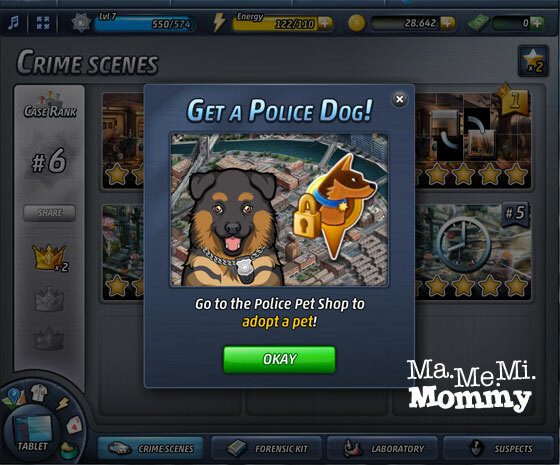 I love playing games like Criminal case but it’s so busy!!! I just don’t have time. Looks like an interesting game. 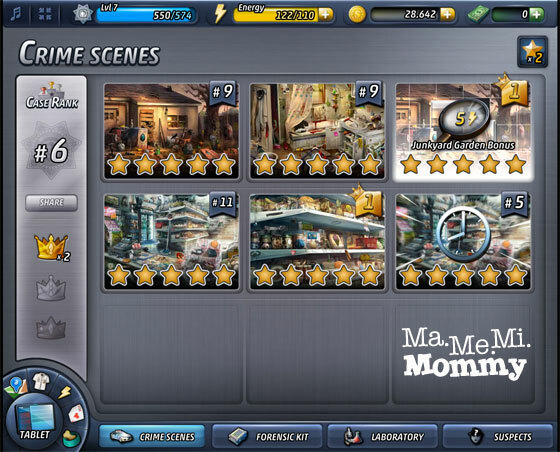 I like Nancy Drew also when I was 12, but I don’t like to get started with FB games because I know it can be addicting.